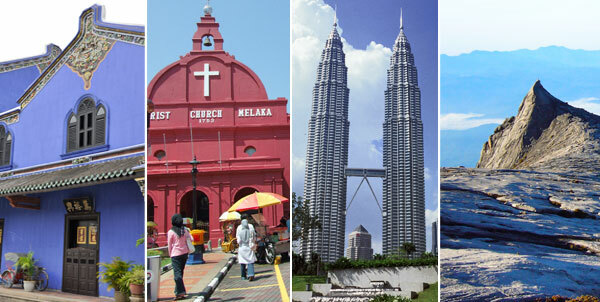 Once you have made the decision to move down to Malaysia, the next question is surely, where? Although the capital of Kuala Lumpur attracts most working expats, there are groups of settled foreigners all over the country, and all places offer a slightly different experience and lifestyle. As the financial heart and cultural mind of Malaysia, KL is at the centre of the action and the forefront of fashion. As city of approximately 1.8 million people, the centre is an eclectic mix of old and new, with colonial buildings and chinese shophouses enjoying pride of place in China Town, while the trendy and upmarket areas of Bukit Bintang and KLCC dominate the skyline with tall shimmering shopping malls offering everything you could ever want to buy. There are various condominiums in the city centre, but most people choose to live in the surroundings areas, known as the Greater Klang Valley. These suburbs vary from expat hotspots with a wealth of western restaurants, high-rise condominiums and international schools, to very ‘local’ areas with plenty of coffee shops and markets, where the property is more low-rise housing. As the heart of the country, living in KL or the Klang Valley ensures that you are close to the international airport and all international and domestic transport links. Thanks to its influx of foreigners, living close to the capital means you will have no trouble finding any service, food or necessity you may find yourself needing. A car is almost vital, although the centre of town is served by some train services to help you avoid the worst of the traffic. As with all countries, cost of living is higher here than in any other part of the country, but the percentage of expats and foreigners is also higher. The island of Penang may be a popular tourist destination for both local and foreign visitors, but it is also a hugely popular place to live thanks to its slightly slower pace of life. The main city of Georgetown is a UNESCO World Heritage Site and offers a real glimpse of old Malaysia, while the beaches and botanic gardens are natural gems to escape to during the weekends. The art and theatre scene is blossoming in Penang, but one of the islanders’ favourite past-times is surely eating, and many Malaysians claim Penang food is some of the best in the country! There are private hospitals, international schools as well as good and regular connections to KL and other major cities in the country. As a port and a cultural gem, this is the 3rd smallest Malaysian state and attracts a lot of tourists thanks to its history as a key port on the spice route. The old buildings still stand in the heart of the state, and alongside the museums, people come to Melaka for the food, which is famed throughout the country. The expat community in Melaka is quite small, but there is one international school and a choice of condos and houses. There are regular bus connections to KL and some local bus routes, but the closest airport to Melaka is in KL, a two-hour drive away. As the capital of Sabah (one of the two states on the island of Borneo), this city is gradually becoming more cosmopolitan, but still offers a very laid-back approach to city living. As it enjoys close proximity to a number of beautiful islands, KK (as it is known) is popular with tourists and is a great base for exploring some of the outstanding beauty spots that Borneo has to offer. KK has an international airport and regular flights to KL and other major cities, so it is well connected, although for travelling around, a car is preferable. This area is becoming more popular with expats as industry blossoms and it offers an international school as well as some good hospitals. Kuching is the capital city of Sarawak (one of the two states on the island of Borneo) and is a culturally-rich city where the expat community is slowly growing. There are various international schools in Kuching, and the pace of life is slower than in KL, offering a more sedate lifestyle while still being able to embrace the pleasures of this interesting country. There is plenty of choice in terms of housing options, and the city offers malls and entertainment for all your needs, as well as easy connections thanks to its international airport and regular flights to KL and other cities. Kuching is also well-positioned for discovering some of the outstanding natural beauty spots of Borneo, where tradition and culture is rich; it can be a fascinating place to live and explore.